Virginia Lt. 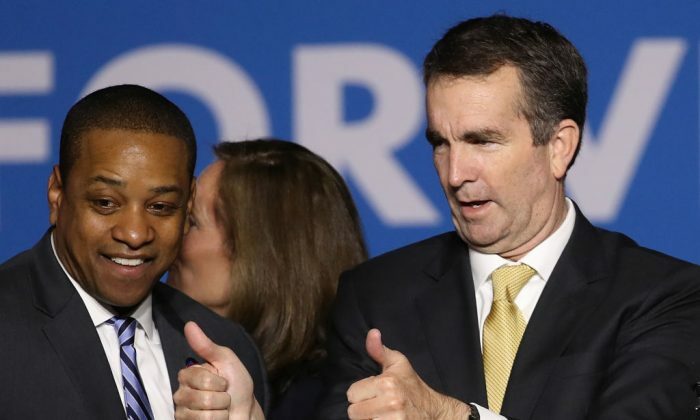 Governor Justin Fairfax, a Democrat, vigorously denied allegations of sexual assault on Feb. 4 as Gov. Ralph Northam met with his cabinet amid mounting calls for Northam to resign over a racist yearbook photo. In a lengthy statement, Fairfax—who is next in line to be governor if Northam, also a Democrat, decides to resign—hit back at the allegation that he sexually assaulted a woman at a 2004 Democratic National Convention. The allegation against Fairfax, first reported by political blog Big League Politics, claimed that Vanessa Tyson, a professor at Scripps College and a fellow at Stanford University, was assaulted 13 years ago at the Democratic convention in Boston. Her allegation was made known to the blog through a tipster sharing a screenshot of a private post from Tyson. Although Tyson didn’t mention the lieutenant governor by name, it became obvious after Fairfax responded to the allegations. In his statement, Fairfax said the accuser went to the Washington Post with her story before he was inaugurated in 2018, but he claimed the paper found little evidence corroborating the allegation, so they decided not to publish the story. “Tellingly, not one other reputable media outlet has seen fit to air this false claim. Only now, at a time of intense media attention surrounding Virginia politics, has this false claim been raised again,” the statement from his office reads. But the Washington Post, meanwhile, denied the claims by Fairfax’s office. “The Post did not find ‘significant red flags and inconsistencies within the allegations,’ as the Fairfax statement incorrectly said,” the Washington Post said in a Feb. 4 story. In the meantime, the embattled Northam has been mulling his next move amid mounting calls for his resignation from fellow Democrats. Dozens of protestors gathered at the state capitol in Richmond on Feb. 4 demanding for Northam to step down after a photo from his yearbook was released, showing one person in blackface standing next to a masked person in Ku Klux Klan robes. Northam’s office didn’t immediately respond to a request for comment. Following the release of the photos, Northam apologized on Feb. 1, admitting he was one of the two before changing his story the next day, claiming he wasn’t in the photo. In his new claims, he said that he was in blackface at another time in that year during the 1980s to portray singer Michael Jackson in a dance competition. The yearbook photo was first published by Big League Politics blog on Feb. 1, prompting Democratic presidential contenders Sen. Kamala Harris (D-Calif.), Sen. Cory Booker (D-N.J.), and Julian Castro, a former secretary of the Department of Housing and Urban Development, to call for Northam’s resignation. “It doesn’t matter if he is a Republican or a Democrat. This behavior was racist and unconscionable. 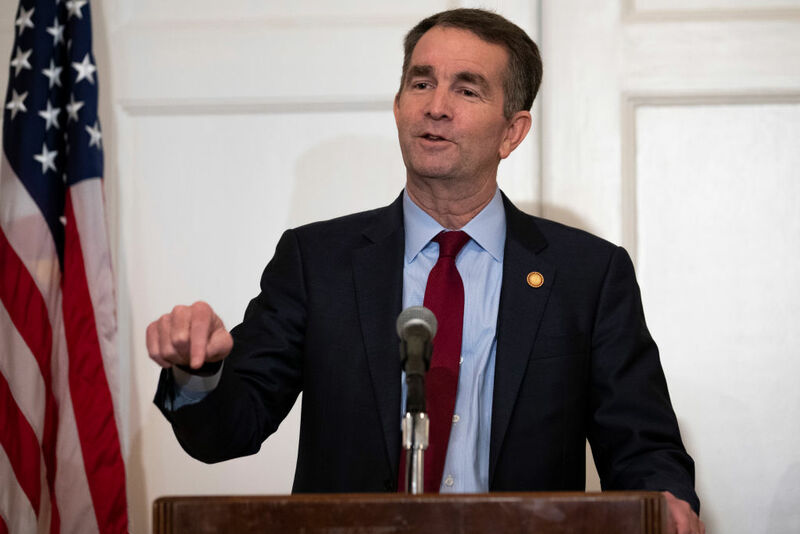 Governor Northam should resign,” added Castro.